It’s imperative for everyone to understand Dr. Rose’s sick population concept, which I introduced in When Low Risk Means High Risk (https://nutritionfacts.org/video/when-low-risk-means-high-risk). What about large fluffy LDL cholesterol versus small and dense? See Does Cholesterol Size Matter? (https://nutritionfacts.org/video/does-cholesterol-size-matter). More from the Framingham Heart Study in Barriers to Heart Disease Prevention (https://nutritionfacts.org/video/barriers-to-heart-disease-prevention). And of course, this overview video is always a good reference: How Not to Die from Heart Disease (http://nutritionfacts.org/video/how-not-to-die-from-heart-disease). Have a question about this video? 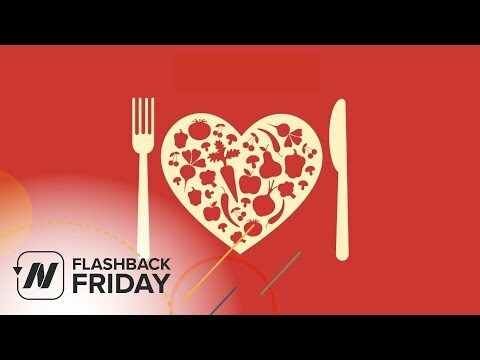 Leave it in the comment section at http://nutritionfacts.org/video/flashback-friday-optimal-cholesterol-level and someone on the NutritionFacts.org team will try to answer it. Want to get a list of links to all the scientific sources used in this video? Click on Sources Cited at http://nutritionfacts.org/video/flashback-friday-optimal-cholesterol-level. You’ll also find a transcript and acknowledgments for the video, my blog and speaking tour schedule, and an easy way to search (by translated language even) through our videos spanning more than 2,000 health topics.